Review the policies and procedures of the Employees Retirement System and Teachers Retirement System, including payroll deductions, group insurance, long-term care, evidence of insurability, and optional retirement plans, and consider whether legislative or regulatory action is needed. Study the legal powers, duties, and structure of homeowners associations in Texas, including lien and foreclosure abilities. Analyze the regulations and laws governing contractors in construction, remodeling and repair of residential and commercial buildings, and, if necessary, make recommendations for legislative action. 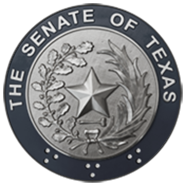 Evaluate the implementation of the Underground Facility Damage Prevention and Safety Act, as enacted in HB 2295, passed by the Legislature during the 1997 regular session, including the creation and operation of the Texas Underground Facility Notification Corporation.